Electrical panels and meters are what brings electricity into homes. 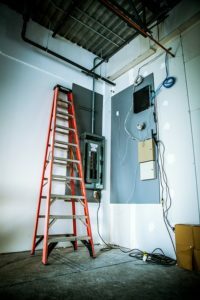 Updating or changing an electrical panel requires a licensed, certified electrician. Many older homes are equipped with a 60 or 100 amp electrical service, which can not handle the amount of electricity we use today. Do your lights flicker? Do your fuses blow regularly? Do you need more outlets in your home? You will need a 200 amp service to add air conditioning, charging units for an electric car or if you are planning an addition. This will also add value to your home at resale. Call Philip M. Brunelli Jr. Electrician to upgrade to a standard 200 amp electrical service that is installed in many newer homes today!